The CBD oil industry is littered with people creating fake CBD oil for a profit. Before you buy cannabis oil, read this to find out what you should look for. By the year 2020, the CBD (cannabidiol) market is expected to grow by 700 percent and reach a $2.1 billion valuation. CBD is all the rage these days, and it’s showing up all over the place in the form of oils, edibles, capsules, and topicals. 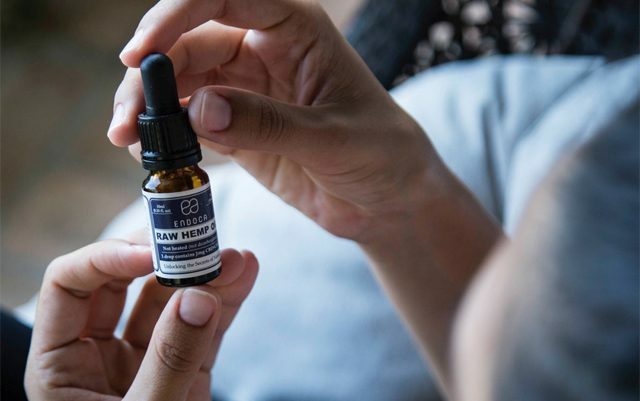 With so many CBD businesses popping up throughout the country, it can be hard to tell which ones are putting out a legitimate product and which ones are just selling snake oil. If you’ve been considering purchasing CBD oil, it’s important to learn how to tell the difference between a fake and the real thing. Read on for some guidelines you ought to keep in mind when you’re looking to buy cannabis oil. Where and How was the Plant Grown? There’s no denying the benefits of CBD oil. In order to experience these benefits, however, you need to make sure you’re buying a high-quality product. One of the first steps to identifying a high-quality product is to find out where and how the plant from which the CBD was extracted was grown. Generally speaking, it’s best to limit yourself to products made with CBD that was extracted from plants grown in the United States. Ideally, those plants should also have been grown organically, without exposure to pesticides or other potentially harmful toxins. If you’re using a CBD product made from hemp-derived CBD, there should be little to no THC present. In fact, legally, these products cannot contain more than 0.03 percent THC. The majority of CBD oils sold online are made from hemp-derived CBD and don’t contain more than the maximum amount of THC allowed. It’s still important to check the THC level before you buy a product, though. 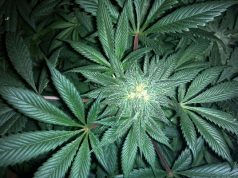 THC is not bad – in fact, THC and CBD can work together to yield stronger results for some people. However, if you live in a state in which cannabis has not been legalized, or if you have to get drug tested for your job, you’re going to want the THC level to be as low as possible. How Much CBD is Present? In addition to checking the THC level, you also need to know the amount of CBD in the product you’re looking to purchase. CBD oils vary greatly in their potency. Some products contain 300 milligrams of CBD per bottle while others contain 3,000 milligrams. But, don’t just pay attention to the amount of CBD in the bottle. Be sure to think about the volume of the bottle. For example, if you buy a 30-milliliter bottle that contains 300 milligrams, you’re only going to get about 10 milligrams of CBD per dropper (assuming the bottle has a 1-milliliter dropper). You may need to take several droppers full to get the amount of CBD needed to make a difference for your specific symptoms. Has the Product Been Lab Tested? You should only by CBD oil and cannabis oil that has been tested in a third-party laboratory. If a manufacturer is paying to have their product tested by a third-party lab, this is a good sign that they’re dedicated to putting out a high-quality, safe product. A reputable manufacturer will also share their lab results on their website or send them to you if you ask for them directly. If a company is hesitant to share these results or is showing results from a long time ago, they’re probably not a good fit for you. Be sure to find out how the CBD was extracted from the plants, too. C02 extraction and ethanol extraction are generally considered to be the best extraction methods. Some manufacturers use harmful solvents like butane to extract CBD. This can leave behind dangerous chemicals in the final product. You definitely don’t want to ingest those – especially if you’re using CBD to help your body heal from a health condition. Can You Reach a Real Person? There’s nothing inherently wrong with buying CBD oil from an online retailer. In fact, if you live in a state that hasn’t legalized cannabis, this is probably your only option. Before you buy from an online retailer, though, it’s a good idea to reach out to their customer service line and make sure you can reach a real person. If you can’t get anyone on the phone and only receive generic, obviously pre-written emails, you should probably buy from a different seller. Does the Manufacturer Make Grandiose Claims? Steer clear of sellers that make grandiose, too-good-to-be-true claims about their product. It is actually illegal for a seller to say that CBD oil can be used to “treat” or “cure” any kind of ailment. If a company is making any kind of medical claims about their product, they’re in violation of the guidelines put in place by the Food and Drug Administration. Is it a “Full-Spectrum” Oil? Finally, consider purchasing a “full-spectrum” CBD oil. This isn’t essential, but full-spectrum products, such as the ones sold on this website, can often yield better results than CBD isolate products. Full-spectrum products contain more than just CBD. They contain other (non-psychoactive) cannabinoids, such as CBG and CBC. They also contain other plant compounds, like terpenes and flavonols. All of these different compounds work together in what is known as the “entourage effect”. This helps to enhance the benefits of the product and can make it more effective. As you can see, there are a lot of factors you need to keep in mind when you’re looking to buy cannabis oil. But if you follow the guidelines laid out above, you’ll have a much easier time sorting through the different oils on the market and identifying a trustworthy seller. These guidelines are geared mainly toward people who are looking to buy CBD oil for individual use. Are you looking for a reliable CBD wholesaler, though? If this is the case, many of the same rules apply. But, there are also some other important factors you need to be on the lookout for. Check out this article for the ultimate checklist for finding a trustworthy CBD wholesale supplier. Disclaimer: This article is intended for general information and entertainment purposes only and is not intended to reflect the views of the publication.